Encrypts your Internet connection at the click of a button for true online privacy. Who needs hackers on public Wi-Fi, advertisers tracking everything you do online, and content blocks whenever you’re in the wrong country? Enjoy the Internet your way, with Avast SecureLine. Hide your activities from your Internet provider, advertisers, employers and more. Stay safe wherever you are. Be it coffee shop, airport, or a train station. We got it covered. We can get you around content blocks. Enjoy your favorite TV shows as you choose. Pick from a broad variety of speedy servers all around the world. Who knew one click could pack such a punch? Built on OpenVPN and OpenSSL: the most reliable, widely-used and transparent privacy protection protocols. We’re blind to the apps you use, the websites you visit, the content you engage with. All your incoming and outgoing data is encrypted and invisible to snoopers. Disappear in the crowd of other Avast SecureLine VPN users. Connect safely to any hotspot: coffee shop, airport, library, park – even a stranger’s phone tether. Keeps your real IP under wraps over IPv4 and blocks IPv6 requests. Hi-def movies, lag-sensitive twitch gameplay, or super-large files? No worries. We got that. Get around censorship and access any service or media, no matter where you live. Select servers support Peer-2-Peer networking. Simply share, privately. Wherever you live, wherever you want to go, we’ve got a way to get you there. Access and stream your favorite content directly on your Android smart TV, Nvidia Shield TV or Mi Box — privately and securely. You shouldn’t have to worry about employers, advertisers, governments, or your own ISP snooping on what you do online. So don’t. Just flick a switch, and your online activities are hidden away. The internet is big open road: it gets you where you’re going, but everyone can see where you’re going and what you’re doing. Our SecureLine Virtual Private Network creates a tunnel of powerful encryption, so no one can see what you’re doing. And because the tunnel comes out of one of our secure servers placed strategically around the world, whoever you connect to sees our IP address, not yours. Your IP address is one of the main ways advertisers, Internet service providers and others keep track of you across the web. So don’t give them more than you have to: our servers will be your mask – and your new address. It’s easier to get lost in a crowd. Whenever you connect to our servers, you get the same IP address as everyone else connected to it – making it that much harder for traffic on that server to be associated with any one of you. Why go through the trouble of hiding your tracks if your OS phones the local registry using your home line the second it gets confused? We make sure all IPv4 traffic coming from your device is firewalled, and disable IPv6 requests. Once you’re connected to our servers, we don’t track the apps you use, the websites you visit or the content you consume, period. If someone asks, we just can’t answer. Think your local coffeeshop Wi-Fi is safe because you know the barista by name? You’re not alone on that network. We use bank-grade encryption to safely tunnel your communication through any network – no matter how sketchy. A VPN is more than privacy. It’s security. Large corporations, banks, and even the military have been using VPNs for years to protect their data and activities. Now, that high-grade protection is available to you so you can fend off network threats. You’re connected to an open, unprotected network, and log into your accounts. But you’re not alone on that network. So you get a cookie, they get a cookie. They now have your account. You’re connected to your favorite hipster coffee shop Wi-Fi. Right? Are you sure? Does the hipster coffee shop even have Wi-Fi? Maybe it doesn’t and you’re now mainlining your data into an attacker’s computer. Your devices just love to autoconnect to known networks and save you time. But what’s a network but a name? It’s easy to create a doppelganger that will fool your phone, computer – or even you. Those last two tricks put someone between you, and the internet. And once that happens, they can change what you see on your favorite sites, redirect your traffic to fake sites, and steal your accounts and passwords. 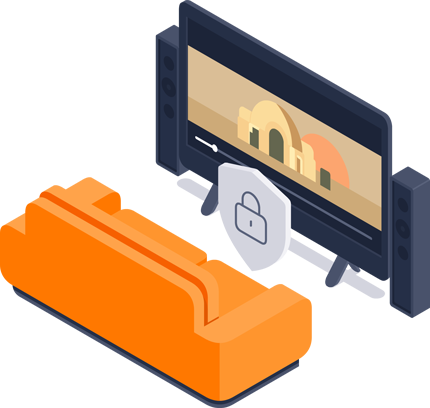 We built your protection on the most widely used and trusted VPN protocol: OpenVPN. It is the most trusted, because it is open source. No unknown proprietary code is doing odd things with your data. We use OpenSSL libraries and run the whole thing over UDP ports so you get the best speeds. Our cipher of choice is 256-bit advanced encryption standard (AES). Why? Well, it’s not just that it would take a hypothetical hypercomputer longer than the heat-death of the universe to crack it. It’s also because there wouldn’t be enough energy in the universe to run this hypothetical computer in the first place. We’re thorough that way. 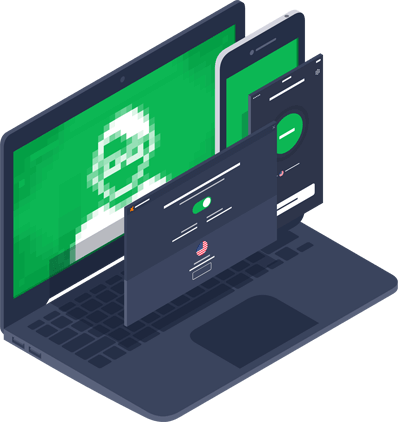 Our iOS and macOS implementations use the IPsec protocol, and we built it all on Apple’s proprietary stacks to ensure the best compatibility and performance. Our goal: get the handshake on the connection to last under a second. Raise your hand if you love censorship! Thought so. We get you around content blocks so you can read, watch and engage with anything you find online – no matter where it’s from. Your IP isn’t just used to keep track of what you do online. It’s also used to bar you from certain services and charge you higher prices. 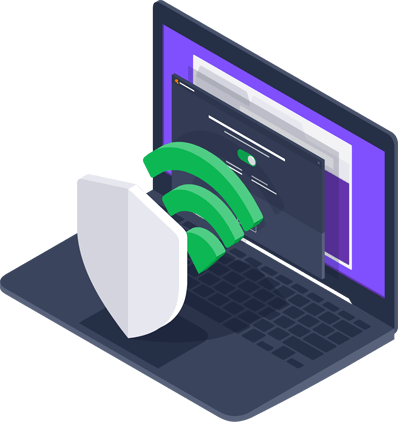 Avast SecureLine VPN lets you access any part of the web from wherever you are. We get you around artificial limitations placed on your web so you can experience true internet freedom. With 55 different server locations, you won’t be seeing that “Sorry, this service isn’t available in your country” message anymore. Price discrimination: it’s a thing. Here’s how it works: the same product gets offered in different regions at different prices. Ever wondered what a cheap flight fare really looks like? Try booking the flight again…but from a different region. Who are we to get between people who want to connect? We support peer-2-peer (P2P) networking in some of our server locations. We even marked them out on our selection screen to make them easy to find. Want to catch that game that’s happening around the world? 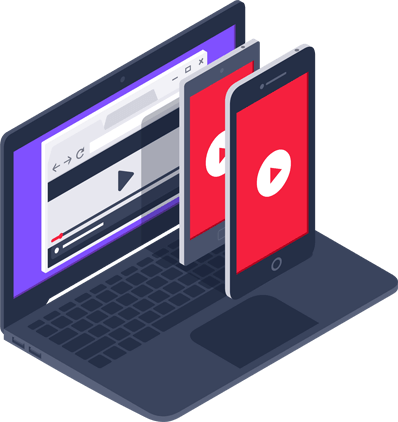 All of our locations have enough bandwidth to stream content in hi-definition, and because our protocol runs over UDP, you don’t have to wait for the content to catch up. OK, maybe spending your work or study time on Facebook or Linkedin isn’t the best use of your talents, but who are we to judge? You should have the freedom to check any communications from any access point you’re on, no questions asked. Jump on the couch, put your feet up, and access and stream your favorite content directly on your Android smart TV, Nvidia Shield TV or Mi Box. Goodbye, hackers and restricted access — hello there, big screen. What’s the point of a secure, private Internet connection that just doesn’t load? We’re constantly upping our server speeds and performances to give you a speedy online experience. When Brazil decided to block WhatsApp from operating in its territory and demand for our service ramped up to over 5 times the usual, we were ready. Here’s why. 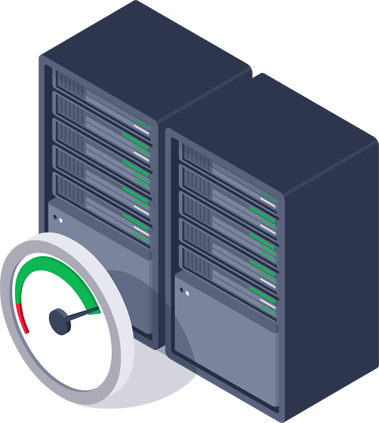 All of our VPN gateways run on dedicated hardware servers and we make sure they have enough excess capacity to maintain performance even under peak loads. We then run systems on top that automatically balance traffic across different servers to make sure none of them get overloaded. Our mantra is “expect the best, and plan for the worst”. We add more servers all the time, and have yet to reach their limits. But if we ever get close, we can quickly extend our capacity virtually by tapping into a network of trusted partners across the world. Each of our servers has a theoretical maximum throughput of 2 Gbits/s. But theory isn’t the real world. We regularly put them through stress tests and get average speeds of 450-600 Mbits/s even under periods of intense loads. And since it’s all running over UDP, it’s fast enough to get your deathmatch on, all day long.